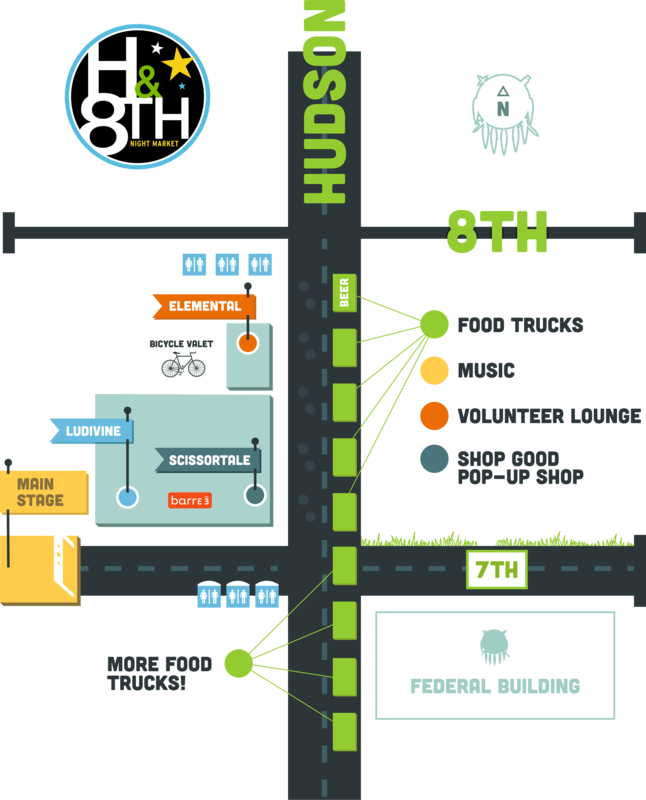 The H&8th Night Market is a street food and live music event in downtown Oklahoma City every last Friday of the month. 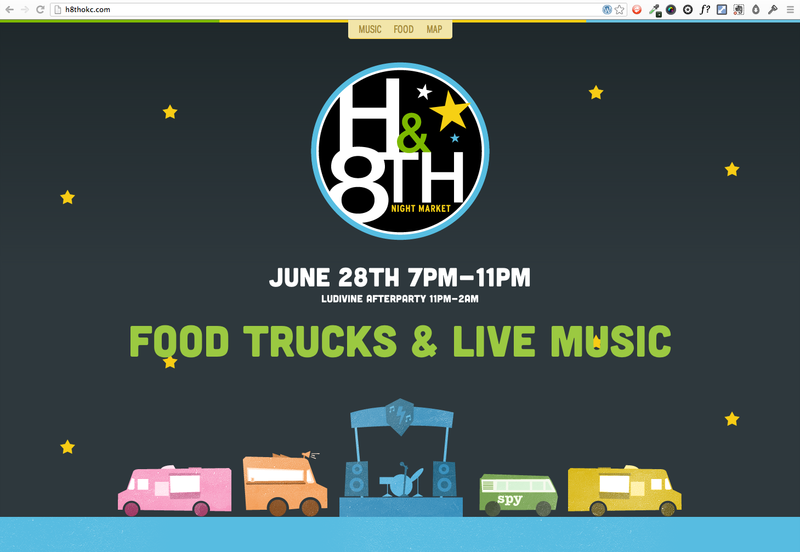 H&8th started with a few food trucks and has now grown into a full-blown festival with more than 20 trucks at the last event feeding an estimated 10,000 people! 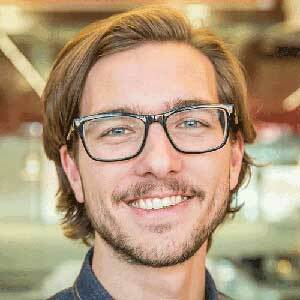 A startling 80% of website traffic came from cell phones, making the single-page mobile-responsive website I built for it perfect to get people to the info they needed quickly and easily.